The dumbbell originated in it’s most basic form in ancient Greece. These weights were called halteres. They were used as lifting weights but also in their long jump. They were usually large and made of stone and had a hole in them, rather than a bar which the weights were held by. Today. they are one of the most widely used pieces of training equipment in existence. They are made of two equal weights held together by a metal bar. They are primarily used for toning, weight training, and muscle training. Depending on the way dumbbells are used, they can tone or build almost any part of the body through their weight distribution and the way that they are held. There are many types of dumbbells currently available on the market. The main ones are the adjustable dumbbell, the fixed weight dumbbell, and the selectorized dumbbell. Adjustable dumbbells generally have cross-hatched handles for better grip and the weight can often be altered by sliding weights on and off the ends of the dumbbell to suit personal preference. Dumbbells became popular in 1864 when John Blundell’s book “The Muscles and Their Story” was published. This massively publicized the dumbbell and they became common place. New exercises were created by fitness enthusiasts everywhere. There are many different exercises that can be utilized with the dumbbell as they are a very versatile piece of equipment. They can now be used to train almost every part of the body if used in the correct way. Common exercises include decline seated bicep curls, hammer curls, French presses, preacher curls, overhead tricep extensions, tricep kickbacks, flat and incline chest presses, flat and incline chest flies, lateral raises, seated shoulder presses, front raise, reverse flies, upright rows, shrugs, lunges, half squats, seated calf raises, and single leg calf raises, just to name a few. All of these exercises work different areas of the body. Dumbbells must be used with care to avoid injury. The way a dumbbell works completely relies on how it is held and lifted by the user so there are simple safety tips that must be adhered to. You should always warm up before beginning a dumbbell based work out so that you do not surprise your muscles with the sudden weight consequently straining them. You should also make sure that you are using the correct weight. Many people feel that the heavier the dumbbell the better the result, however, using a lesser weight and doing more repetitions is a far better way to ensure you do not hurt yourself. The best dumbbell exercise is the Dumbbell Goblet Squat. Clutch the top of the dumbbell with both hands, hold one dumbbell at your sternum, position your feet slightly wider than shoulder-width apart then perform a squat. Inhale as you go down and exhale while driving through your heels to return to a standing position. 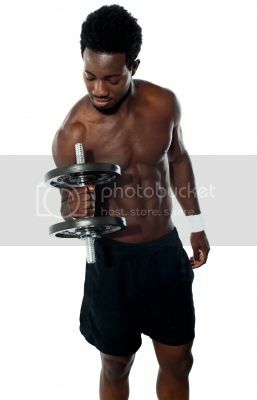 This blog post was prepared as part of a series which focusses upon the use of Dumbbells as part of home gym equipment. Kettlebells Vs. Free Weights – Which Should You Choose? 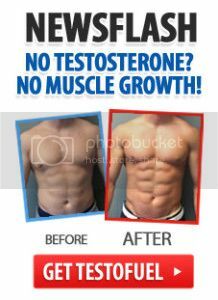 8 Effective Bodybuilding Tips for More Strength and Muscle!